Prevailing wisdom says we should never eat right before bed, and mostly, experts agree. Nutritionists generally recommend not eating less than two hours before bed. "When we sleep, everything in our body slows down, including digestion. You want to make sure that your food is processed prior to bedtime so that you can utilize these nutrients for recovery overnight and rest comfortably," explains Chelsea Amengual, Manager of Fitness Programming & Nutrition at Virtual Health Partners. This is particularly key for those with gastrointestinal issues, as going to bed too full can make heartburn and reflux worse. Eating immediately before bed can affect your sleep quality and weight, too. "People who eat meals close to bedtime may also be more prone to weight gain compared with individuals who eat most of their calories earlier in the day," adds registered dietitian Shauna McQueen, graduate of the Institute from Integrative Nutrition. That said, going to bed is not going to help your sleep quality either, and balance is important. In fact, sometimes having a small snack before bed can actually induce sleep, says Jessica Sepel, clinical nutritionist, best-selling author, and health blogger. "I am passionate about women having a healthy relationship with food, which means I do not want them depriving themselves of something to eat if they are craving something after dinner/before bed," Sepel adds. "It is a good idea to have a few healthy options on hand to enjoy a couple of times a week before bed." What are some of those before-bed meal and snack ideas? Keep scrolling to find what our nutritionists recommend. 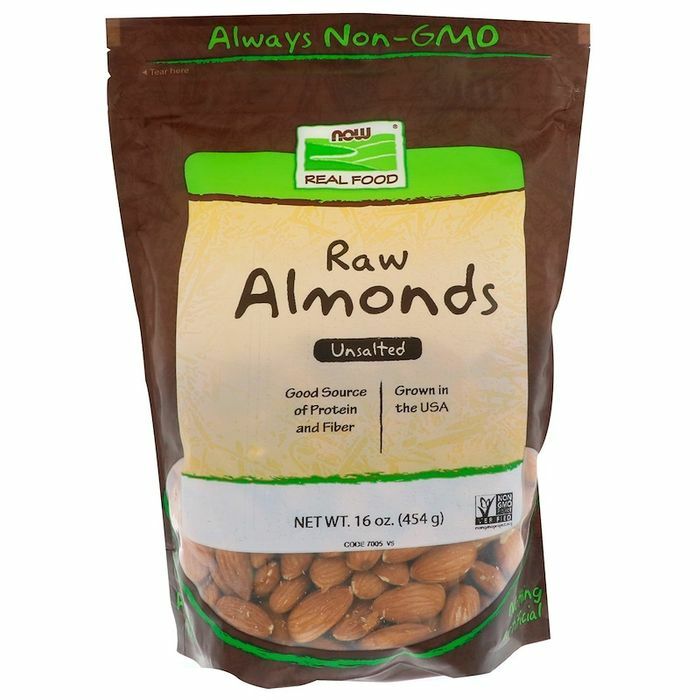 Raw almonds and walnuts not only make a good little snack if you're still hungry after dinner, but they also boost melatonin. This "helps to regulate the circadian rhythm and support regular sleep habits," says McQueen. Whole-grain carbohydrates are another melanin-boosting category of food. Whole grains also provide "adequate fiber to help support colon health," adds Amengual. In addition, they'll keep your blood sugar stable so you don't go to bed hungry. As a before-bed snack, Sepel recommends a slice or two of cheese on flaxseed or whole-grain rice crackers. Mushrooms aid with melatonin production as well, and if you use a mushroom supplement, you don't have to worry about it messing with your digestion. This adaptogen-rich powder contains seven different healing species of mushrooms and can be easily mixed with some calming sleepy time tea. Breakfast for dinner anyone? McQueen suggests incorporating egg yolks and salmon into your last meal before bed, as these foods contain vitamin D. "Vitamin D–containing foods may help to promote better sleep quality over time," she says. Experts agree that protein-rich meals are great to end the day with. "Research shows that muscle recovery increases overnight, so it's crucial to get about 20 to 30 grams of protein with dinner, especially for active individuals," says Amengual. "Great sources of protein include lean meats, low-fat dairy, beans and legumes, and nuts and seeds." Protein will also help stabilize blood sugar. If you're looking for a before-bed snack idea specifically, Sepel recommends Greek yogurt sprinkled with cinnamon and berries, which will taste like dessert while giving you a hefty dose of protein. Again, adequate fiber intake is good for colon health, digestion, and stable blood sugar, so make sure to pack in the veggies and leafy greens with dinner. As a pre-bed snack, Sebel likes raw veggie sticks (like carrots, celery, broccoli, or cauliflower) smeared with almond butter, hummus, or tahini for added protein. Before you go, don't miss the only 10 foods all nutritionists agree are healthy.